Would you like us to transport your personal canoe or kayak or paddleboard so you can participate on a Peace Paddle? We do shuttles, check out the info below. Canoe Outpost is a full service outfitter, we carry them to the bus or van, transport them, wash them and help load 'em post trip. We do not offer an end of day shuttle service. We do all our transporting in the mornings and wait for folks to paddle back to their vehicles (either Gardner or Arcadia). Notice: We are having a few issues with the new fishing kayaks. They are heavier and wider than our trailers allow and heavier than our guys can carry. You can drop it at the put-in yourself and still use our services i.e. pull out, ride the bus, restrooms etc. You will have to help carry it up the beach and/or the dock. River Conditions Update: as of 4/9/19 a couple in solo canoes reported that from Homeland to Fort Meade, there were at least 15-20 trees blocking the river. This was at 12" below normal. They do not recommend that anyone do that stretch. Oak Hill (5 mile), Brownville (8 mile) or Gardner (12 mile) - $45.00 per canoe/kayak (same price as to rent). If with a group that qualifies for the group discount, price would be the discount price. Brownville (8 mile), Gardner (12 mile) Gardner to Gardner, or Zolfo Springs (19.5 mile or 31.5 mile) -$50.00 per canoe/kayak (Also see Holiday Overnight Pricing towards bottom of page). This is price is not for those camping at Oak Hill on busy and holiday weekends. If you do not want to pay for Canoe Outpost-Peace River services and use of facilities for your own canoe/kayak, please see the notes at the bottom of the page for public access information. Use of Outpost lifejackets, boat cushions, paddles, or camping gear. We know..some of our pricing is the same as rental but we don't always get our paddle gear back. Some folks think they bought it instead of renting it. You must supply your own paddling and camping equipment or you can rent ours. Our trailers do not have padded bars. Bring supplies to pad the bars yourself or we can pad the bars for you for a $10 plus tax fee for each slot needed. 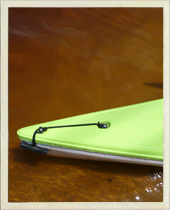 Plastic Rec boats usually don't need the padding service. But, if you're picky about how your boat looks, better get the bars padded. Up to 3 days parking, transportation of you, your gear, and vessel, river map, fossil information sheets, carrying the vessel to and from the water, washing your vessel out at the end of the trip if desired, help in loading vessel, garbage disposal, and use of facilities. Price for overnight runs includes 3 days parking, after 3rd day add $5.00 per day. Parking price at Gardner is $30.00 per vehicle if the group is a tax-exempt group such as Scouts or a church with proof of organization membership and with prior approval from the Arcadia office. You stop at the public boat ramp and walk over to the Outpost to retrieve your vehicle, then drive over to the boat ramp to load your vessels and gear. There is no docking or use of facilities at the Gardner Outpost. Use two vehicles, park one in Gardner and use one to drive back to Zolfo Springs. Parking in Gardner varies with the season. Parking not available on some holiday weekends. "Park only" available to select tax-exempt groups and at the discretion of Outpost staff. Park only is available only at Gardner. We no longer can accommodate folks who drop their gear/vessels at the put-in. There will no longer be a "park only" feature available for those with their own canoes/kayaks unless it is an approved civic, school, religious, or scout group. If you want to use our facilities, we must transport your boat/s (Put it on our trailer). We have had too many problems with those with their own canoes/kayaks not following our guidelines. If you show up to park your vehicle with an empty trailer, you will need to go to the public boat ramp to park. Unauthorized or unapproved trailers are not allowed at Gardner or Arcadia take-outs. Use of Canoe Outpost-Peace River facilities and not transported by Canoe Outpost: $45.00 per vessel if a day run (ending in Arcadia only), $50.00 per vessel if an overnight run (ending in Arcadia or Gardner). Reservations required at all times on all runs. You must check-in a minimum of 30 minutes before departure to make the bus. Check-in less than 30 minutes prior to departure and you will need to wait until the next available bus. Our buses and trailers are set up to move rental canoes and kayaks. If you show up late, we may not have time to make room on the trailer. Trip availability subject to river conditions and driver availability. Please click on the link on the menu on the left. Un-scheduled pick-up: Add an add'tl transportation fee for unscheduled pick-ups, usually $20 per canoe/kayak (up to Zolfo, farther north will be higher) each plus 7.5% sales tax (standard runs only) No pick-up required on Saturdays, Sundays, holidays, or for groups on trips ending in Gardner (you park there). No pick-up in Arcadia, you park there. Prices subject to change without notice, above pricing is for 2018. Canoe and kayak types: We only transport canoes & kayaks weighing less than 80 lbs. and measuring less than 32 inches at widest point. We only transport vessels that can be carried by one person though some kayaks require two people and therefore the owner will be required to assist a staff member in carrying the kayak. We cannot transport "canoes" with molded fiberglass seats and bait wells. These are not standard canoes. We cannot transport Gheenoes, Ganoes, Skeenoes, Skanoes or any similar vessel. Boat Motors: We cannot and will not transport motors, electric or gas! We will not transport batteries for motors either. It is against Federal Law to have batteries and gas on DOT passenger buses. FYI, per Florida law, your vessel must be registered and have FL numbers to have any type of motor including trolling motors. Canoe Outpost-Peace River does not allow any sort of boat trailer or vehicles associated with boats to park at any of our facilities. Boat Ramp Etiquette: If doing "your own thing" please be considerate and don't block the boat ramps with your vessels while waiting for your shuttle vehicles to park. Others may show up in the meantime and want to launch and shouldn't have to wait for your friends/paddle partners to return to the launch. Either wait to put your vessel on the ramp or launch and move across/or down the river. Click here for more etiquette tips. Holiday Overnight Pricing which includes busy weekends, and busy season: Normally we don't allow personal paddlecraft to camp at our private camping areas on busy weekends and holiday weekends because we need the spots for rental paddlecraft. If you want to camp at Oak Hill on a holiday or busy weekend (February, March, April, and Spring Breaks, for example) with your friends, you can but the price will be the same price as a rental canoe or kayak. If you are with a group (10 or more canoes/kayaks), group rates will apply as per group guidelines. Parking at Gardner Boat Ramp: If you want to park your vehicle at the boat ramp in Gardner overnight, don't park a nice one. The Gardner Boat Ramp has a bad reputation for vandalism. Do not leave anything in the back of a pickup and make sure the vehicle is locked. FWC had items stolen out of the back of their trucks! If leaving a vehicle at any public boat ramp, use caution. In our experience and from what we have heard from others the boat ramps in the parks do not have the same problems as those that are just boat ramps or launches next to bridges. Launches at parks usually have a parking and/or launch fee. You need to call the local government agency in charge of the park. Ft. Meade is in Polk County. Bowling Green, Wauchula, Zolfo Springs, and Gardner Boat Ramps are in Hardee County. Brownville, Arcadia, Lettuce Lake, and DeSoto Marina are in DeSoto County. Just google those county governments for more info. Put-ins: Canoe Outpost-Oak Hill (5 mile) and Canoe Outpost-Gardner (12 mile) are private put-ins. Folks with their own vessels cannot follow the bus into Oak Hill or Gardner to launch. There is no public access near Oak Hill. There is a public boat ramp at the end of Gardner Road, next door to the Outpost. There is a public boat ramp at Brownville. Take-outs: The take-outs at Gardner and Arcadia are private take-outs. You must be a paying customer i.e. have paid to have your personal vessels transported by Canoe Outpost-Peace River in order to take-out at the private locations. There is a public boat ramp next door to the Gardner Outpost and the public boat ramp in Arcadia is 1.5 miles south of the Arcadia Outpost dock. None of the accesses private or public on the Peace River have stores or vending machines in the immediate area. Private accesses are for the exclusive use of registered customers. Payment: Business checks (no personal checks), all Credit Cards, credit or debit, or Cash. Our payment system only does payment per canoe not per person or split items. Please be prepared before check-in (bring cash or plan to settle with your paddle partner). Private Picnic and Camping Areas: Stopping at Gardner, Gardner South or Oak Hill for a picnic or camping is for Canoe Outpost-Peace River customers only. See Private Take-outs/Put-ins for what qualifies as a Canoe Outpost-Peace River customer. Almost all the property on the Peace River is private property. The only public property is at the public boat ramps and a couple of parks. Motorboats are not allowed at Oak Hill or any other Canoe Outpost-Peace River location. End of Trip Shuttles: We do not do end of trip shuttles. We do all our shuttling in the mornings. Our CDL drivers only work partial days and all other staff are busy taking care of customers at our take-outs. Vessel Repairs: See Paddling Equipment under Store on the left hand menu. We have some parts for 17' Grumman canoes and can do repairs for a fee. Check with the office for availability of the special Holiday Overnight Pricing. Special pricing is at our discretion. This pricing always applies to Spring Breaks, on MLK Weekend, Presidents Day Weekend, Easter Weekend, Memorial Day Weekend, Labor Day Weekend, Columbus Day Weekend, Thanksgiving Weekend, and any Friday and/or Saturday night in February, March, April, May, October, November. If the weather and river are good, this pricing will apply at other times of the year. This pricing applies to Saturday nights for 2-day weekends and Saturday & Sunday night for 3-day weekends. Availability may vary. QUESTION: "I have my own vessel: why can't I use your facilities for free, why won't you transport my boat for free, why can't I camp on your property for free, why can't I ride your bus for free, or why can't I park for free?" ANSWER: There's no such thing as a free ride. Sorry gang, this is how we make our living. Insurance, payroll, taxes, gas, insurance, electricity, water, vehicle upkeep, insurance, tires, road maintenance, insurance, lawn care etc. all cost money. If you don't want to pay, there's plenty of public boat ramps that you can use for free. Canoe Outpost is a privately owned, for profit facility. For public boat ramp locations go to: http://www.dep.state.fl.us/gwt or see our River Maps. QUESTION: Can you shuttle me back to my vehicle at the end of the day? ANSWER: No, we do all our transportation at the beginning of the day and paddlers come back to us. Our drivers only work in the mornings, dropping folks off. Dock staff is needed at the different take-outs later in the day to assist the customers coming back in. If you are coming paddling with a large group that is going for a group discount, your price is the same as the rental vessels, you pay the same price they do. Your boat can count in the canoe count for the discount. Therefore if the group has 10 canoes reserved for rent and you decide you don't want to rent and bring your own but pay separately, then the entire group loses their group discount because they couldn't meet the minimum rental requirement. If you bring your vessel and it is in the to the 10 rental vessels required, you pay the discount price to the leader. See our Group Rates page. If you are part of a large group but bringing your own canoe/kayak and you paid for your kids or friends to paddle a rental canoe/kayak and your doing your own transport and not paying us, you are not a customer of Canoe Outpost-Peace River. You didn't pay for docking or transportation or didn't or shouldn't have signed our release. If your friends are riding in a vehicle with you, drop them off and we'll take care of them, they are our customers (just like dropping them off at the airport). The folks in our canoes/kayaks are our customers, it is our responsibility to take care of them. You still need to go to the put-in and take-out at the public launches. Please don't pull into our take-out and switch people around from the rental to the personal or let non-customers out to "ride" with someone. If your spouse, kids, or friends paddled down the river with you, they need to stay in your boat and go on to the public ramps, they did not sign our release and are not our customer. The insurance company mandates that only our customers can use our facilities. If you don't want to use our services but plan on following the bus to the put-in please do not pull into our parking lots. You can park across the road in the county right-of-way in Arcadia and wait in your vehicles or if at Gardner, launch at the public boat ramp. Sorry, but you cannot follow the bus into Oak Hill or Gardner and launch. Those locations are on private property. Remember, you're not a customer. You, your spouse, kids, or friends can't ride our bus, use our restrooms, get maps, borrow sifters, or borrow our lifejackets and if they are riding in your vessels, they need to ride with you in your vehicle. They aren't our customers either. And...please don't pull up to our private take-outs in Gardner or Arcadia and plead ignorance that you didn't know you couldn't take out on our private dock or beach. Please don't stop and picnic or camp at Oak Hill with your group because you didn't know it was private. Thanks.